Yes, life gets curse-like interesting when after mocking something you end up using it. But here we go, the edX hosted mOOC (medium sized Open Online Course) I’ve been working on is getting its first visits. The making of this remains to be blogged (can everything ever be all blogged? ), but I assembled a short promo video mixing together an animation by the talented artists at eCampus Ontario, with voices and videos from past participants. Again, we are taking the structure/module/activities of the Ontario Extend project and creating a more cohesive space to have people work through the program. This has been done to address the evaluation of the first iteration, to scale the experience to more participants, and try to keep more of them engaged in the program. We (meaning mainly Terry Greene) has been working to build interest in the new Extend since October 2018, as we were designing it behind the scenes. 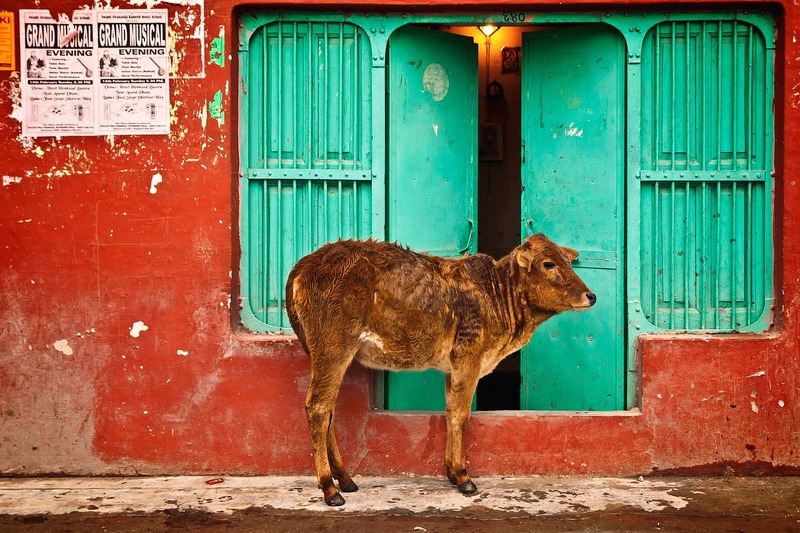 What he did was create a simple form for people to express interest, and until we were ready invite them to join a Slack site, which is not an integral part of the mOOC, but what we call several “doorways” for out of the mOOC experiences. The real opening is Monday, January 21, for what we call “Module 0”, more or less a week to get oriented in the course site, understand the project, look at examples of what people did previously, and start some small activity/engagement. Our “soft opening” has been to send the invite yesterday to people who joined the Slack, a wee bit of bonus for them to get in early, and for us to start to see how the interaction goes. Because eCampusOntario wants to do further research and evaluation, the way inside the mOOC site is a link shared after completing a short online survey (for those who loathe surveys, we have an option to submit nothing and still get the link). The current module structure is all of the content/activities written out for hat was a self-paced route before. What is different is that we will move through them sequentially (new ones released every 2 weeks). But also we want to add some more things for people to feel like they are not alone doing this. This means quite a lot of activities we are setting up in the discussion forums, for the orientation, a few things we call “Small Stretches” (which is a code name for the what we did before as Daily Extends). 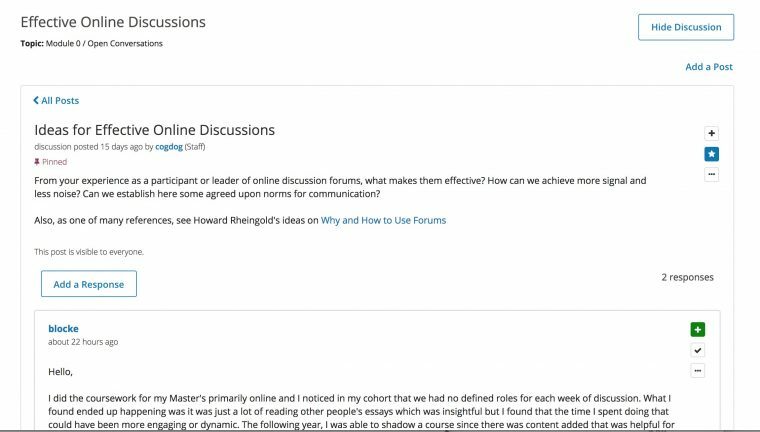 Later, the responses to module activities will be submitted via forum responses as well (which could also include links to blog posts, of course). We don’t know how well this will all work out given we have over 300 people expressing interest, if the forums will be lively, engaging, or overload. I saw some slides recently from a pedagogy talk that more or less derived discussion forums as stale. Or deadly. I don’t think that’s necessarily a characteristic of the platform, as much as how most times that are experienced. It’s the same way you can blame PowerPoint for bad presentations, when there are more than enough examples of fabulous ones. Or to ridicule the chalk and blackboard, until you see what an engaging person can do with the old technology. One thing I like in edX is embedding a single discussion within the content. We are also putting a few polls and other ungraded activities. Which leads to, the idea of “grading” having a different meaning here. Another thing in the mix is suggesting (but not requiring) that participants find/form small “informal support groups” that can share/discuss their work in smaller settings. This could be people at the same institution who meet for coffee, or others who find an affinity via discipline, interests, and connect via email, messaging, or even a private channel in the Slack (or anything else they can decide on as a way of meeting). This is a spin off of the “Triad” concept of the the UDG Agora project. Sidenote: We offered private Slack channels to the early birds as a place for their small team communication; I can see ten already exist. It does not matter if people “pass” this course, it’s all meant for them to get out what they want to put into it. Some will really want to do the full program, earn badges, etc. Others may just want to build out their professional network. Some may just want to expand their practice in one area. And a few may just want to see what the heck we are doing. The setup has been to create a checklist and the end of the modules, matching all the ones in the original ones, as well as acknowledging they have submitted for their badge. The “grading” is more self affirmation they have completed the activities, plus at the end doing a final reflection, and a few small participating activities along the way.Mixed in there as well are twice a week optional drop in lunch sessions via Zoom (like we did this past summer). And a radio show! Terry is hosting a once a module show we will record in the middle of a module, and we plan to invite participants to be guests as we go. It will be broadcast on voiced.ca and archived in SoundCloud. To share outward, we will eventually have tweets from @ontarioextend and good old fashioned blog posts (like this one) that Terry and I (and others may do too) syndicate into the hub. It’s all in motion, and yes, of course, it’s wide open to people anywhere to join us. Enter this way http://bit.ly/ExtendMOOC. This is the “I’m interested form” which will get you to that survey, an optional Slack invite, and the edX entrance link. The mOOOOOOOOOOOOOOC is in moooooooooooootion! Featured Image: Pixabay image by Devanth shared into the public domain using Creative Commons CC0.